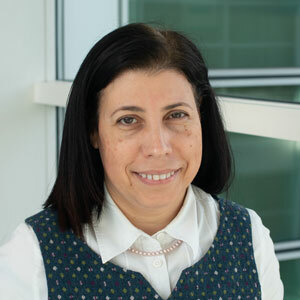 Isabel Moraes joined NPL in 2017 to lead on the development of structural biology capabilities addressing the challenges of membrane proteins as drug targets, antimicrobial discovery, synthetic biology and cellular therapies. Isabel obtained her PhD in Structural Biology from the University of Reading in collaboration with Syngenta in 2005. Following this, she completed her postdoctorate at the London School of Pharmacy and worked as a senior structural biologist in Evotec. From 2010, Isabel headed up a membrane protein laboratory at Diamond Light Source, where she was responsible for the management of the facility, as well as its research. Isabel maintains an extensive network of collaborations in the field of membrane protein crystallography while providing consultancy to the industry. Her main research interests have focused on the structural biology of proteins, membrane protein targets of pharmaceutical relevance and time-resolved serial crystallography using free electron lasers (TR-XFEL). Over the last five years, Isabel has delivered numerous presentations and organized many courses and workshops in the field of membrane protein structural biology. Isabel has been actively promoting science to the public via different public events, with her work being featured by the mainstream and local media in the UK. Isabel's work is funded by the Wellcome Trust, European Research Council, the UK's National Measurement System and industry.